Niamh is an Investment Consultant for HBAN, sourcing & selecting investor ready deal flow for a network of over 700 Business Angels. Niamh is the Co-founder & Board Member of several high performing export driven companies both in Ireland and overseas. Most recently her digital publishing company has launched in the UK and U.S markets. With over 20 years Directorial & Senior Executive experience, she has developed & implemented viable business growth strategies & cohesive business processes, exercising control and accountability for driving revenue growth & profitability. Michael is an experienced international business development executive with a background in the ICT, financial & education sectors. He has direct business experience in the City of London, China, Japan, mainland Europe & North America. Michael has developed specialist skills in the seed capital arena - working with early stage, knowledge intensive, companies and has also lectured Business Strategy on the Michael Smurfit MBA programme at UCD for a number of years. He has advised multiple startups on successful seed and early stage fund raising. Michael in his role as Director of the Halo Business Angel Partnership, on behalf of Irish BICS, has led the team in raising over €30M for 80+ startup companies in co-operation with other public and private funds. Michael has an undergraduate degree in Applied Physics & Electronics and is a 1st class MBA graduate of the UCD Smurfit School. Sarah is an experienced Communications and Administration Professional having previously worked in an array of industries including Pharmaceuticals, Medical Devices, Banking and Retail. Joining the HBAN team four years ago, Sarah is now dedicated to supporting Ireland’s trusted network for business angels and increasing business angel activity in the Irish start-up eco-system. Specialising in leveraging technology to expand the reach of the organisation and supporting scalable sharing of high quality, pre-screened investment opportunities, Sarah is responsible for the operational & administrative running of the network across the island. Sarah holds a Degree in Marketing & Public Relations (GMIT), an Honors Degree in Business Studies (DKIT) and more recently a Diploma in Employment Legislation (DIT & IBEC). Siobhán is an experienced professional administrator who joined the HBAN team in 2017. Her primary background is in higher education and the arts from which she draws extensively as part of her work in the start-up eco-system. With considerable experience in event management, recruitment and customer service, Siobhán brings a diverse range of skills to her role in HBAN. 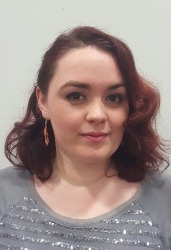 In addition, Siobhán specialises in social media, graphic design, website management. She has also worked in theatre across Ireland working as a stage manager and technical director. Siobhán holds a BA Honours Degree in English (UCD) as well as a qualification in Film Production. opportunities in start-up, early stage and developing business. His role also involves the creation of a community of investors in the region. The South East Business Angel Network (SEBAN) Members, who have a broad sector focus, are interested in investment opportunities in both start-up and more established businesses that are based primarily, though not exclusively, in the South East region. Aidan is a business consultant with the South East Business & Innvoation Centre. His role is to advise entrepreneurs and small companies on all aspects of business planning and development, with a special emphasis on financial planning and sourcing funding. Cormac is the Coordinator for the South East. His role involves the creation of a community of investors in the region to match private investors with pre-screened investment opportunities in start-up, early stage and developing businesses. Cormac has over 30 years experience working in the Financial Services Industry in Ireland. Prior to joining HBAN Cormac worked with the Bank of Ireland Group. He has worked in various functions including Credit Management, Asset Finance and more recently in Wealth Management where he held the role of Regional Pensions Manager. Cormac is a Qualified Financial Advisor, holds a Pensions Diploma and a Financial Services Diploma from the Institute of Bankers in Ireland. 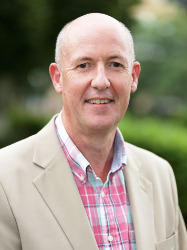 Aidan has spent the last twenty-five years in the technology sector both in an executive and consultancy role. In 1985 joined a high tech start up called Intepro Systems as financial controller. Subsequently, he transformed an engineering-led company with a competitive presence in one regional market, into the world’s number one supplier of power supply AT instrumentation, software and turnkey systems. In 1991 he successfully negotiated the sale of the organization to Shaffner giving the VC investors an annual return in excess of 12% per annum. He spent 4 years with Avocent International as VP Sales EMEA from 1999 to 2002 where he expanded and grew the sales organization into a $35m annual turnover. He has spent the last number of years working as an independent consultant working with companies in setting and implementing their strategic direction in the area of sales, marketing, finance and strategic management. Aidan is a Fellow of the Institute of Chartered Accountants in Ireland. Ted, a Commerce graduate from UCC, has worked with a number of companies including KPMG, Revenue Commissioners, the Industrial Credit Corporation (ICC) and AIB. Following 8 years with ICC, Ted joined AIB in 1988 where he held a number of Senior Management positions, initially working in the Capital Markets Division with responsibility for setting up the Bank’s investment management operation in the West of Ireland. In 1992 he transferred to the Bank’s Retail Banking Division in Cork. He was appointed Regional Director in May 1997. Ted served on the Board of Cork Chamber of Commerce for nine years. As a HBAN representative in the west and north-west region, Ultan works to match private investors with pre-screened investment opportunities in start-up, early stage and developing business and to create a community of investors in the region. For over 20 years he has worked with WestBIC in providing tailored support to innovative enterprise through the initial stages, from concept to commercialisation in identifying incubating and supporting value-added enterprise opportunities.